If you just got a tattoo, you might want to get an aftercare tattoo lotion or cream. Good tattoo aftercare lotion will provide relief and fast-acting healing which are important for anyone with a new tattoo. Here are some of the best lotion for tattoo aftercare on the market, as well as a full buying guide that’ll answer all of your questions about tattoo aftercare! Hustle Butter Deluxe is a body butter specifically designed for application to the skin at any point in the tattoo process (before, during, and after!). This luxurious lotion preps and repairs your skin at the tattoo site with its unique clinical-grade formula. The moisturizing formula glides on smoothly and nourishes skin in advance of getting your tattoo. The cream will not rub away or smudge any pre-tattoo stencils and can be applied directly over them. The thick consistency helps your jar last longer (so a little can go a long way). Designed with sensitive skin in mind, Hustle Butter Deluxe tattoo care lotion may be safely applied to any part of the body where you might want to get a tattoo. Post-tattoo irritation is gently soothed by the nourishing and moisturizing formula specifically designed to rejuvenate and heal any damage to the skin. Redness, swelling, and post-tattoo bleeding are all effectively reduced by the natural anti-inflammatory complexes used in the Hustle Butter Deluxe formula. Made with natural ingredients like essences of papaya and coconut, this tattoo repair lotion is made to nourish and renew your skin. It’s free of parabens and petroleum, so you and your tattoo artist don’t need to worry about pesky petroleum build-up or clogged tubes. The oils in the lotion also enable colors to sink into the skin with ease–even yellows, whites, and highlights! This product is also 100% vegan approved and completely cruelty-free. 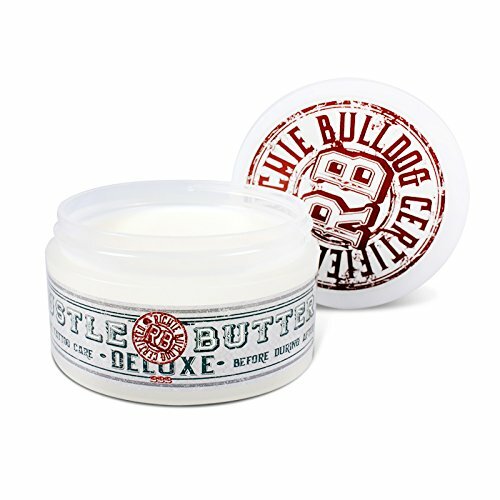 Hustle Butter Deluxe is available in two sizes on Amazon.com: 1 oz and 5 oz. The dense cream comes in a compact, round, white container bearing the product logo and ingredients list (made with only the finest, it says. That’s reassuring!). Ordering this product online may take a few days to ship, but it will be well worth the wait. The ingredients include shea, mango, and aloe butter as well as coconut, sunflower, and rice bran oils. Green tea extract and Vitamin E complex enrich Hustle Butter Deluxe with its magical healing properties. Hustle Butter Deluxe is a fan-favorite due to its easy application, full-coverage moisturizing effects which lend relief to post-tattoo soreness and pain. 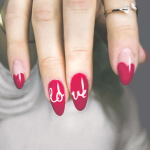 Users also enjoy the ability to apply the product before getting their tattoo, even over any existing stenciling, in order to prepare the skin. The natural, cruelty-free formulation makes Hustle Butter Deluxe a true crowd-pleaser. Aquaphor Healing Ointment, while not directly formulated for tattoo aftercare, has turned out to be highly effective in the post-tattoo healing process. Recommended by dermatologists, the ointment cools and calms irritated and cracked skin immediately upon application. The lightweight moisturizing formula may be applied all over the body, including the hands, feet, and even chapped lips! The damage that comes with tattooed skin is very similar to the chapped, dry skin caused by weather burn and friction burns–both of which are aptly treated with Aquaphor Healing Ointment. The outermost layers of skin benefit from immediate hydration while nourishing elements within the dermatologist-recommended formula sink more deeply into the second layer of skin. The texture of the ointment isn’t greasy and is fragrance-free to boot. The application feels cooling and smooth, with the texture considerably more lightweight than a waxy salve but a little creamier than basic hand lotion. Scabbing, itching, and redness are all reduced and managed under the care and by regular application of Aquaphor Healing Ointment. Currently, it’s available in a 14 oz container (or a 14 oz container plus a travel size 3.5 oz container). The ointment comes in a cute, round container with a quality control seal to keep the product fresh. The trial size is perfect for getting through airport security or slipping into your purse for a day out. The formula of this healing ointment contains no fragrances or harsh chemicals. The more beneficial ingredients, responsible for the majority of the healing capabilities this ointment offers, are petrolatum, panthenol, and glycerin. Petrolatum serves as a barrier on the top of the skin, while glycerin enables moisture retention at a deeper level. Panthenol is a Vitamin B derivative which also enables moisture retention and even improves skin elasticity (so you might just want to keep this stuff around even after you’re all healed up!). Aquaphor is a tried-and-true standard in the tattoo aftercare game, with many reviewers claiming to use nothing but the Aquaphor healing ointment. The ointment is fragrance-free, which is a relief to those who can remember the strong smell of other ointments like A&D. Aquaphor is medical-grade, dermatologist recommended lotion with an array of applications. 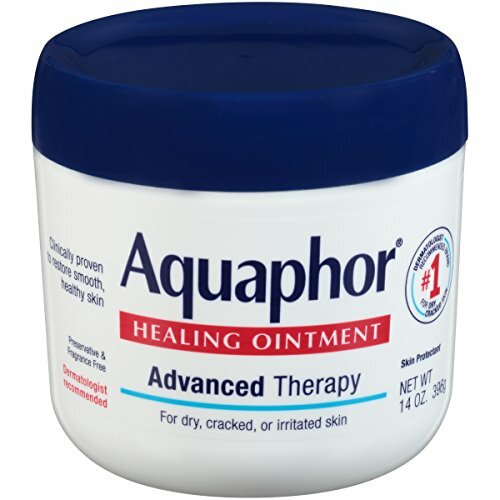 Aquaphor healing ointment proves its efficacy in treatment of skin conditions and wounds. Many reviewers described using this ointment for medical-grade skin damage and serious skin conditions like eczema and plaque psoriasis and the results astounded them. If this ointment could reverse the effects of serious skin conditions within days, then it certainly can heal up your tattoo and have you ready to show it off in no time! Tattoo Goo is the classic, old standard for tattoo aftercare and healing. This brand has been providing relief and fast-acting healing for tattoos since 1998 and is a proudly touted product in many tattoo studios and supply shops. You can rest assured that, in spite of the name, the Tattoo Goo product line has a texture that is anything but–well–gooey! Users of the product report that application is comfortable and smooth, with a very light and pleasant scent that doesn’t irritate the tattooed skin. Fading and smudging isn’t a problem after use of the aftercare salve. In fact, after preliminary scabbing starts to die down, the Tattoo Goo salve has been reported to really embolden tattoo colors and highlights, the glossy sheen helping to make your almost-healed ink really stand out. Tattoo Goo’s deep cleansing soap provides the same pleasant and lightly fragranced skincare with the added benefit of disinfecting power to keep your tattoo healthy and reduce redness and inflammation early on in the process. Tattoo Goo’s unique cleanser formula contains 0.5% chloroxylenol, a standard antibacterial agent, to ensure on-site sterility and reduce the risk of infection or inflammatory symptoms (itching, burning, redness…you know, the not-so-fun stuff). The Renew Lotion with SPF 30+ is intended for use on your tattoos after about 3 weeks of healing time has passed. This lotion delivers three different types of sunscreen to prevent color fading, as well as common skincare ingredients like salicylic acid for complete brightening of the tattooed area. 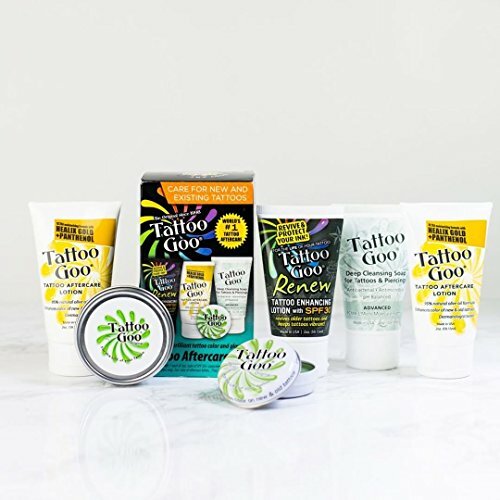 The Tattoo Goo Tattoo Aftercare Kit includes: Tattoo Goo Salve (one ¾ oz tin), a tube of Tattoo Goo Deep Cleansing Soap (2 oz), one tube of NEW Formula Tattoo Goo Quick Penetrating Lotion (2 oz), and one tube of Tattoo Goo Renew Lotion with SPF 30 + (2 oz). The products arrive neatly packed into a little black box with the ingredients list of each product appearing on the back of the box alongside the instructions for use. Tattoo Goo is a classic brand that many people have tried and enjoyed for its characteristically pleasant and light smell (which some people say triggers their nostalgia and makes them remember getting inked!) as well as its non-sticky texture. The cleansing soap is effective, and users report that they enjoy using it on their new tattoos (or piercings!). Tattoo Goo is also popular with tattoo artists and is often provided for purchase within their studios. That’s one heck of an endorsement! 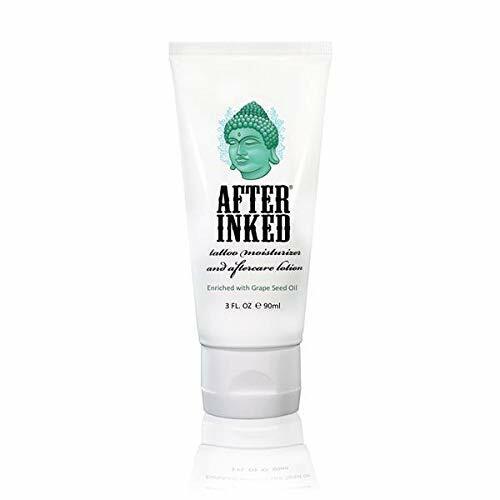 After Inked Tattoo Moisturizer and Aftercare Lotion offers protection, moisturizing, and comfort to new and existing tattoos. This lotion is very popular in the tattoo industry (AND in the world of permanent makeup). After Inked Lotion can be applied to sensitive areas of the skin without irritation and is guaranteed to give new tattoos a healthier, more maintained appearance. This lotion is lightweight and absorbs readily into the skin without leaving a waxy coating like some products. After Inked Lotion is guaranteed to stay on your skin and not rub off onto your sheets, pillows, or clothes. Moisturizing properties are the primary benefit reaped by applying this cream, but another much-appreciated plus: it relieves itching. 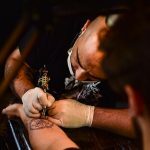 The itching stage that comes with getting a new tattoo can drive people crazy, and so many itching creams and salves are too sticky or have an unpleasant odor. This lotion nips that problem in the bud and is very lightly fragranced. 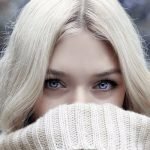 People with sensitive skin or allergies to other creams have reported good results with After Inked Moisturizer and Aftercare Lotion, possibly due to its all-natural formula. Featuring the moisturizing and renewing properties of grapeseed oil, After Inked Tattoo Moisturizer and Aftercare Lotion is an excellent option for those seeking lightweight, full-coverage moisture for their fresh tattoo. 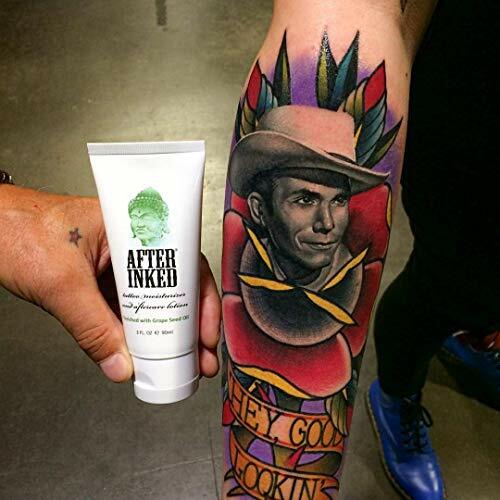 After Inked Tattoo Moisturizer and Aftercare Lotion is currently available as a 3 oz tube. You can opt for a single tube, a two-pack or a three-pack depending on the size of your tattoo and the estimated healing time needed (although, once your tattoo is healed you may continue to apply the lotion to keep your skin fresh and help your tattoo really “pop”!). Shea butter and beeswax provide a protective barrier to enclose the tiny tears in the skin and prevent skin from drying further. There is no alcohol to be found in this product (rightly so, as alcohol-containing creams and serums only serve to dry out and irritate the skin even more). Another aspect of After Inked lotion that people love: it’s completely vegan, cruelty-free, and gluten-free! Customers call After Inked Tattoo Moisturizer and Aftercare Lotion the “Holy Grail” in tattoo maintenance and aftercare. One thing is for sure: it is highly effective in relieving itching and burning sensations during the healing process, which is pretty impressive considering the simplicity of the all-natural formula. It’s a win-win! 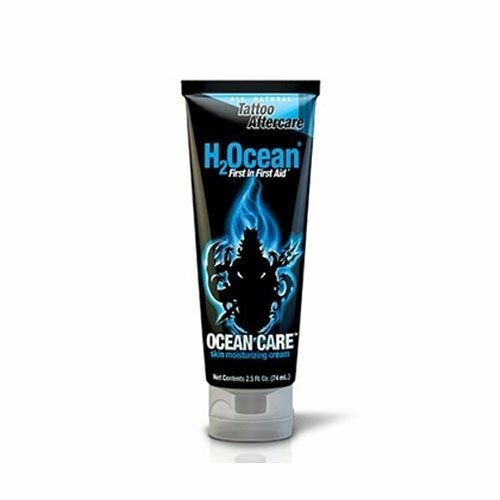 H2Ocean Tattoo Aftercare Moisturizing Cream is a soothing, moisture-rich lotion which cools and protects the skin after a new tattoo. This cream is formulated with an emphasis on one very important feature of your healing process: relief! H2Ocean Tattoo Aftercare cream glides on smoothly and provides excellent coverage so that you don’t need to use a whole lot at once (which is good, considering the tube is rather small). Fans of the product report notable relief from soreness and itching, as well as a light and characteristic scent. Daily use of the moisturizing cream reduced inflammation and scabbing while also cutting down on the recovery time, before your new tattoo is ready to be shown off to the world. H2Ocean Tattoo Aftercare Moisturizing Cream is currently available on Amazon in a tube containing 2.5 oz of product. Due to the full coverage properties, you shouldn’t need to use more than a dime sized drop for small tattoos or a quarter-sized drop for larger areas. For full sleeves, you may wish to invest in a second or third tube, as the healing time, as well as the area of coverage, is greater. The unique formula of H2Ocean’s aftercare lotion includes high-quality ingredients such as coconut and vegetable glycerin, which provides a substantial barrier between tattooed skin and the external environment. Rosehip seed oil and aloe provide anti-inflammatory properties which assist in the relief of itching, burning, and general post-tattoo soreness. Sea salt also provides the benefit of gentle exfoliation to the healing area. These natural elements do an excellent job of refreshing the skin and protecting against irritation during the healing process. H2Ocean’s Tattoo Aftercare Moisturizing Cream is a pretty big hit! While the size of the tube is a bit scant, it’s adequate for application to smaller tattoos (and a little does go along way). Popular amongst tattoo artists, this aftercare cream provides the basic benefits with respect to the price. It’ll do the trick (but if you have any doubt about how much you’ll end up using in your healing process, then get that second tube for backup). Ora’s Amazing Herbal Tattoo Salve is a well-established aftercare salve which provides considerable protection of tattooed skin against dryness, flaking, and color leaching. The container reads “Slow Infused with Herbs and Love,” and who doesn’t need a little love while their (probably sore) tattoo is healing? The natural, herbal salve is thick and heavy upon initial application but provides adequate full-coverage of the affected area. Once absorbed into the skin, the remaining protective layer is light. The salve is not greasy or “sticky” and will not stain your clothes. A light, earthy scent accompanies the use of this salve. Relief from tingling, itching and burning sensations are one of many benefits provided by this aftercare salve, and regular application may even be able to reduce your healing time! Most importantly, the skin remains moisturized and unstressed by the all-natural, paraben free formula which makes Ora’s Amazing Herbal Tattoo Salve desirable–especially to those with sensitive skin. The ingredients which lend Ora’s Amazing Herbal Tattoo Salve its holistic healing abilities include calendula officinalis, and comfrey root and plantain leaf–all of which are notable herbs bearing well-established anti-inflammatory properties. Grapeseed oil provides an extra moisturizing layer to the rich formulation that keeps skin healthy and soft during the healing process. 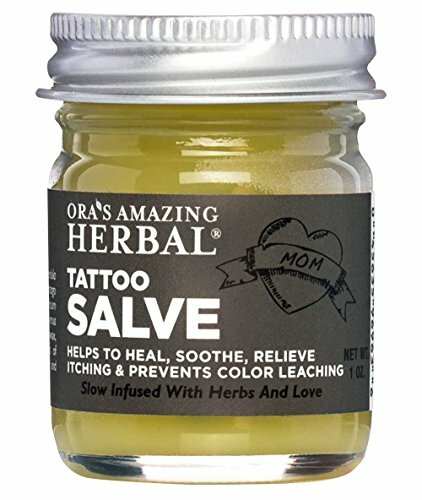 Only high-quality, non-GMO ingredients are used in Ora’s Amazing Herbal Tattoo Salve. Handcrafted in small batches, this product is well worth splurging on for the carefully-selected, organic components which make using it so enjoyable. Ora’s Amazing Herbal Tattoo solve has a huge fan following, and I’m happy to join in. I’ve been enjoying the use of anti-inflammatory herbal salves for years, and it was so refreshing to see the familiar and effective ingredients being used in this salve as well. The light, floral scent of the salve, as well as the full coverage it provides to even large and intricate tattoo areas is a big plus. The pain and itch relief associated with the soothing botanicals in Ora’s Amazing Herbal natural formula is significant–competing with medical grade ointments. This product is a favorite, for sure. Q: What is the best lotion to apply to a new tattoo? A: Hustle Butter Deluxe is our favorite tattoo aftercare lotion. A: While Vaseline provides a protective layer for the skin to prevent drying and moderate itch relief, it doesn’t provide all of the anti-inflammatory and disinfecting benefits included in products recommended explicitly for tattoo aftercare. It may also be a bit sticky or greasy in texture. Q: Is coconut oil good for tattoo aftercare? A: While the texture of coconut oil may seem soothing and protective to your skin after getting a new tattoo, there is one major drawback–coconut oil tends to contain naturally occurring acids which may bleach or distort the coloration of your ink. You may want to avoid coconut oil for that reason, especially if you’re spending a lot of time in the sun. Q: When should you start putting lotion on a new tattoo? A: As soon as possible (given that the lotion is appropriate for open skin, as there will be tiny cuts in your skin during the first few weeks of healing). Moisture is a valuable ally in your tattoo aftercare regimen! Q: How often should you apply lotion to a new tattoo? A: This is a matter of preference but ultimately, twice a day (once in the morning and once in the evening) is a good baseline for meeting your skin’s moisture needs during the aftercare process. not everyone enjoys the scents of lotions and ointments. 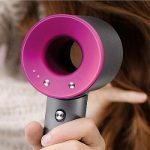 You may wish to select a product which does not include any fragrances in its formulation or a product which is made from natural ingredients which may bear a lighter scent. If you have any allergies to ingredients commonly found in lotions, balms or sunscreens you may wish to opt for a simpler formula in your aftercare lotion. Additionally, if you have skin conditions which are prone to irritation, you may want to look into dermatologist-recommended options which are free of parabens, alcohols, and fragrances. Nobody likes to be sticky and greasy, and it’s no fun when that layer of lotion gets on just about everything except your skin. 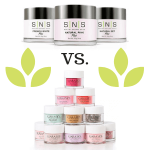 Don’t be fooled by salves which appear thicker, as many of these absorb quickly and leave only a light layer behind on the skin which is necessary to protect against the elements. If you have a lot of area to cover, or are trying to heal a full sleeve or other large design, you will either want to purchase a larger amount of product or a thicker product which provides full-coverage (“a little goes a long way,” you know the old adage). If you’re vegan or a proponent of cruelty-free products, you can find plenty of options which suit your beliefs. You can enjoy pampering and skin protection while staying guilt-free, and it also provides you with exposure to a line of products which uphold your personal values and that you may recommend to like-minded friends and family! I hope you found our Best Lotion for Tattoo Aftercare article useful. Do you have any other questions about any other tattoo aftercare lotion brand?